Մեհմեդ փաշա Սոկոլովիչ կամուրջը կառուցվել է 1577 թվականին Սինանի կողմից և գրանցված է ՅՈՒՆԵՍԿՕ-ում, Վիշեգրադ, Բոսնիա և Հերցոգովինա. 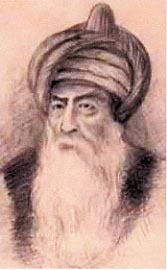 Sinan, also called Mimar Sinan (“Architect Sinan”) or Mimar Koca Sinan (“Great Architect Sinan”) (born c. 1490, Ağırnaz, Turkey—died July 17, 1588, Constantinople [now Istanbul]), most celebrated of all Ottoman architects, whose ideas, perfected in the construction of mosques and other buildings, served as the basic themes for virtually all later Turkish religious and civic architecture. 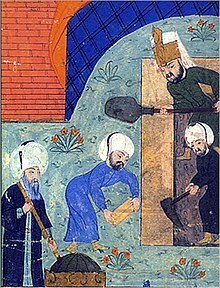 The son of Greek or Armenian Christian parents, Sinan entered his father’s trade as a stone mason and carpenter. ↑ Kouymjian, Dickran. "Armenia from the Fall of the Cilician Kingdom (1375) to the Forced Emigration under Shah Abbas (1604)" in The Armenian People From Ancient to Modern Times, Volume II: Foreign Dominion to Statehood: The Fifteenth Century to the Twentieth Century. Richard G. Hovannisian (ed.). New York: St. Martin's Press, 1997, p. 13. 0-312-10168-6. ↑ 13,0 13,1 Alboyajian (1937), vol. 2, pp. 1533-34. ↑ Kathleen Kuiper. Islamic Art, Literature, and Culture. — The Rosen Publishing Group, 2009 — p. 204 — 9781615300976: "The son of Greek Orthodox parents, Sinan entered his father's trade as a stone mason and carpenter." . ↑ 26,0 26,1 26,2 26,3 26,4 26,5 Goodwin (2003), pp 199–200. 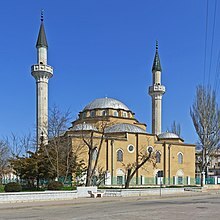 ↑ Sinan (in Dictionary of Islamic Architecture) Archived 2011-06-04 at the Wayback Machine. ↑ The Drina Bridge gave its name to the famous novel by the Yugoslav author Ivo Andrić.